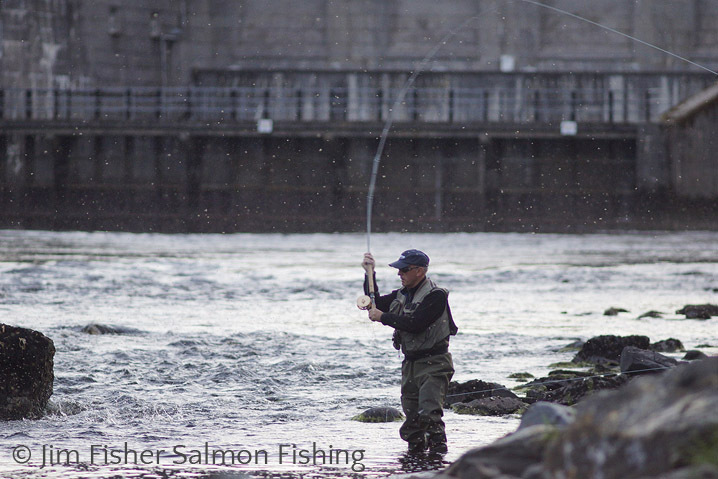 Learn to fly fish with a double handed rod for salmon. Jim can teach beginners the basic skills to start fly fishing and also caters for all levels of experience from beginners, intermediates to advanced. The lesson plan will be tailored to suit the specific needs of the client. All fishing tackle by way of a balanced rod, reel and line can be supplied for use during the lesson and is included in the cost. This can be beneficial to those starting out in the sport and Jim will be happy to advise on the choice of a suitable, balanced outfit to purchase. In other cases however, it makes sense to bring your own gear. Tuition can be arranged on an individual or group basis. In Jim’s experience it can be beneficial to share the lesson with a like minded friend. Apart from spreading the cost to the individual, it can be helpful to observe and learn as each other is coached in the art of casting. 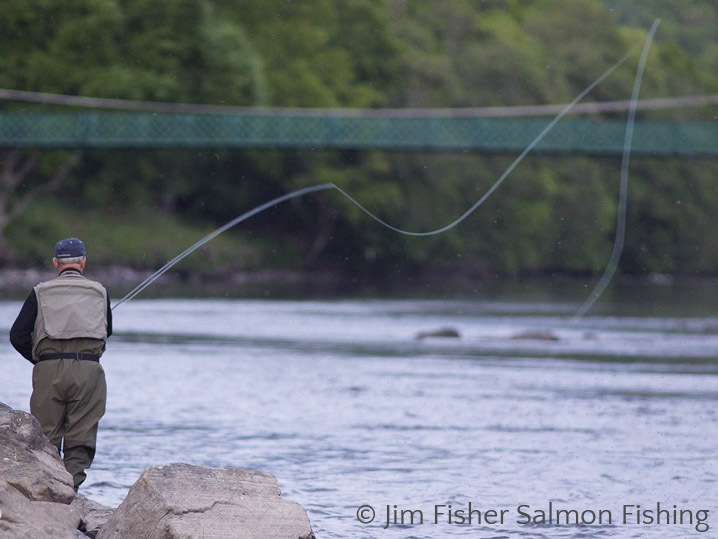 Tuition will normally be given on the beautiful River Tummel situated in the heart of Highland Perthshire, Scotland. By arrangement, lessons can be organised at an alternative location to suit the client in which case travel expenses may be payable. Cost of Tuition: £35 per hour. Cost of Group & Corporate Packages – please call Jim to discuss.